Warehousing is an important piece of the contract manufacturing puzzle as well as the overall business supply chain. From the facilities and distribution options for purchasing materials to production of components and delivering finished products, it’s crucial that a warehouse or plant operates at maximum capacity and provides effective and efficient solutions for its customers. In life, there are always unpredictable factors that can cause delays or problems. If a warehousing facility isn’t operating in tip top shape, it might suffer from reduced production, maintenance delays and even shutdowns. Other common warehousing problems include higher production costs that are caused by outdated equipment, operational delays and inaccurate data. These can be very detrimental to manufacturing and distribution centers. But it isn’t just the warehouse that suffers. These problems are passed on to the customer, creating a ripple effect that continues to grow. In today’s fast-paced world, consumers are accustomed to having everything they need at the click of a mouse or the swipe of a screen. Customers want their products delivered on time and they expect their orders to be accurate. Basically, this requires warehousing services to be a 24/7 operation. In order to best serve customers’ needs, it is vital that warehouse managers focus on production and the strategies necessary to increase productivity while considering their return on investment. What to Look for in Warehousing & Transportation? Much of this comes into play when choosing a contract manufacturer as well as considering a solution for your warehouse, shipping and distribution needs. Variety of Services – Is the Facility Nimble? One factor to consider is whether or not the warehousing facility offers a wide variety of services. Perhaps your needs change from the occasional individual order to transporting much larger quantities of goods. 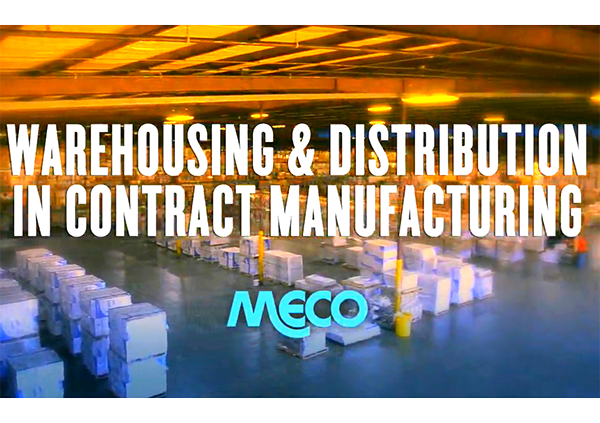 Here at Meco, we are a full distribution and warehousing facility and can accommodate a wide variety of orders, from individual and drop ship to UPS, FedEx and small packages. Equipment & Facilities – Do They Meet Your Needs? Something else to consider when selecting the right solution for your warehouse, shipping and distribution needs is the equipment and facilities that are used. Meco operates a wide range of equipment for different needs so that we can effectively and efficiently provide solutions for customers. For example, our van is perfect for small boxes that require quick deliveries, while our straight trucks can handle up to 10k lbs of freight. Then we also have tractor trailers that can carry up to 40k lbs of freight. Meco facilities are unique because of the sheer amount of space we have, both within the manufacturing facility (350,000 sq ft) and in our warehouse (250,000 sq ft). This allows flexibility to meet your requirements – whether is it for production needs or additional storage space. Our warehouse features 18 shipping docks. We have full logistics support and warehousing and can pick, pack, ship and unload containers as well process up to 250 small package shipments per hour through UPS or FedEx. Finally, we are directly serviced by Norfolk Southern Railroad System. Warehousing Staff – What Type of Training Do They Have? Finally, do your research and find out how the facility trains its staff. Meco is committed to cross training our employees to carry out multiple functions. Many of our employees have their CDL licenses and can operate both the straight trucks as well as the tractor trailers depending on the needs that arise. Location matters most in real estate, but also matters a great deal in the world of manufacturing and warehousing. Located in the heart of East Tennessee, Meco is just one day’s drive of half of the US population, and convenient to two major Interstate systems (I-40 and I-81), with access to Class 1 freight railways that extend across the southern and eastern regions of the country. And our centralized location means less distribution costs and reliable delivery times for our customers. 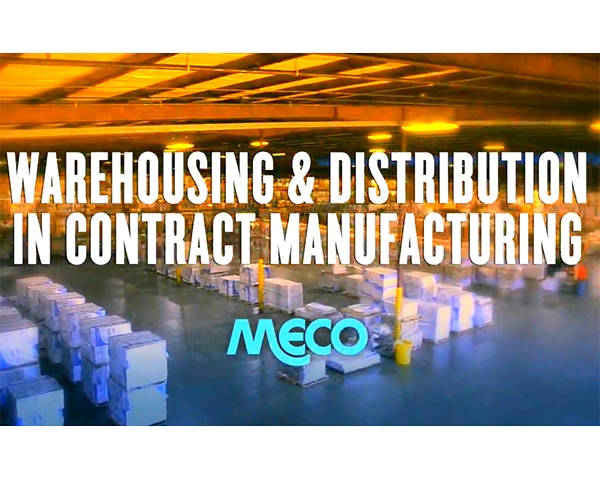 Meco is uniquely qualified to support your warehouse, shipping, and distribution needs. We are committed to getting high-quality products into the hands of our customers – on time, every time – and we are able to do that through the support of an entire distribution division wholly dedicated to logistics and transportation. There are many options out there for warehousing and transportation needs, but when it matters so much to your business, doesn’t it make sense to choose the best? We’d love to talk with you about how we can meet your warehousing and transportation needs. MECO IS A LEADER IN DEEP DRAW WHAT IS THE ROLE OF VERTICAL INTEGRATION IN CONTRACT MANUFACTURING?